Let's Get Creative With Southern Yellow Pine | Wood. It's Real. | Wood. It's Real. We all know Southern Yellow Pine (SYP) is a great option for big projects like wood flooring or building a deck, but did you know it’s also great for smaller projects. These are the kinds of things you can work on with the kids or grandkids over a weekend and really create some beautiful, functional pieces while bonding with the next generation. If this is your idea of a fun time, let’s get building. Think of this as container gardening on steroids. 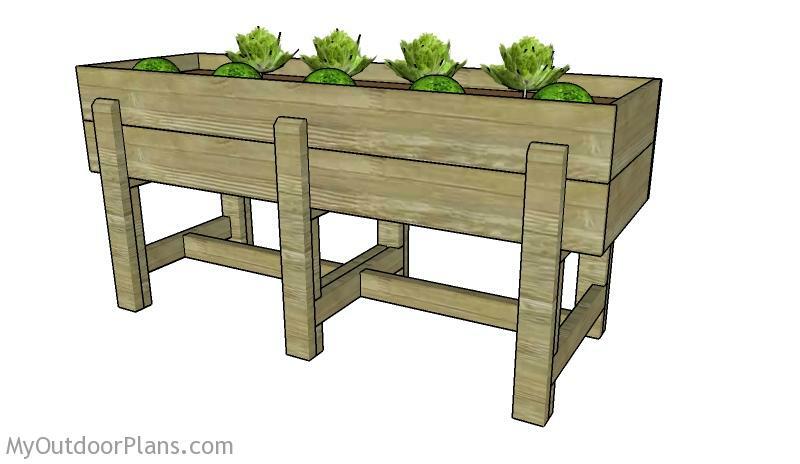 A raised garden bed like this one lets you grow a variety of fruits, vegetables and herbs without having to bend over to do all the work. They also look great in your yard and make it easier to keep pesky critters out of the tomato plants. You can make it smaller or larger to suit your yard or make several for different kinds of plants. You can also make them as plain or decorative as you’d like. 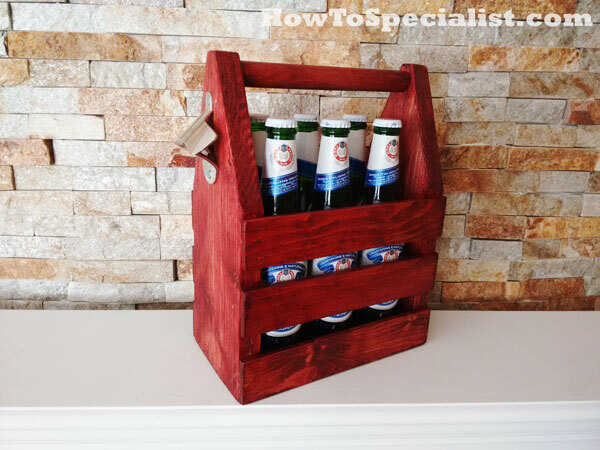 While you can use it for carrying around your favorite beer, this tote box can also be used for carrying just about anything. You can customize the size to hold napkins or condiments for your picnic table, silverware for a buffet or even bottles of water by the pool. Kids can use it for hauling around small toys or their “grown-up” tools. It looks great with a wash of color or go bold with the paint of your choice. Of course, you can’t go wrong with a natural stain either. This is a great beginner project and would make a great housewarming or holiday gift. If you’ve already got a gorgeous SYP deck in your backyard (no? what are you waiting for?? ), you need some furniture to go on it. With this versatile wood, you can make any number of pieces to complement your space. Check out these plans for an outdoor couch. You can finish it off any way you’d like and add even more decorative options in the form of cushions and throw pillows. Be sure to use a durable fabric for these that can stand up to the element. Other options include chairs, side tables and storage benches. Looking for something else to build? Maybe one of these ideas will get you excited to start building. No matter what you decide to build, whether the project is big or small, with a little patience and some simple tools you can tackle just about anything. What Makes SYP Right For These Projects? In addition to being a renewable natural resource grown and produced in the U.S., it has a beauty that lends itself to a variety of applications. It has wonderful grain patterns that really pop with the application of your favorite stain. Look for lumber with classic knot patterns for a finished piece that’s unique and loaded with character. Since it’s kiln dried and pressure treated, SYP is ideal for outdoor projects as well. It can be painted and treated or left to age gracefully as only beautiful wood can. When you’re ready for the satisfaction of knowing you made something with your own two hands or helped the next generation learn a thing or two, reach for Southern Yellow Pine. You’ll be glad you did.